Bebo has announced new measures to ensure the online safety of children and teenagers, by adding a 'report abuse' button to its site. In light of a survey which found Bebo users were among the most likely to suffer bullying online, the social-networking site has teamed up with the Child Exploitation and Online Protection (CEOP) Centre and added a direct link to CEOP's website. This means that now more than 8 million users have access to a place where they can report anything unjust happening to them on the site, and seek advice about any problems. "There can hardly be a parent in the land whose teenager isn't part of a social networking site. These environments are huge and bring a vast array of converged facilities – uploads, downloads, chats and so on – that are now so integral to young people's lives," explained Jim Gamble, Chief Executive of the Child Exploitation and Online Protection (CEOP) Centre. "What today means is that every member of the Bebo community has one-click access to a powerful tool that gives them safety help and advice as well as that ultimate reassurance, the ability to find their local police or to speak to us direct via an online reporting mechanism." Although Bebo has signed on to the initiative, the two major players in the social-networking market-place – Facebook and MySpace – have not. Gamble spoke to the BBC about this lack of CEOP support and said there's "no legitimate reason" why these sites have not got a CEOP button. 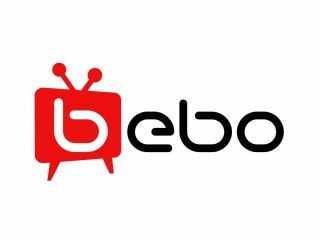 "I am applauding Bebo; it's taken us three years to get here," Gamble noted. "But I don't understand – and there is more than Facebook in this – I don't understand the logic for the others not following suit." A spokesperson for Facebook said they "look forward to hearing about the experience of Bebo using the CEOP button and will take account of their experience in any future evaluation of our reporting systems."